India-Israel relations date back to 17 September 1950, when India recognised the formation of Israel. 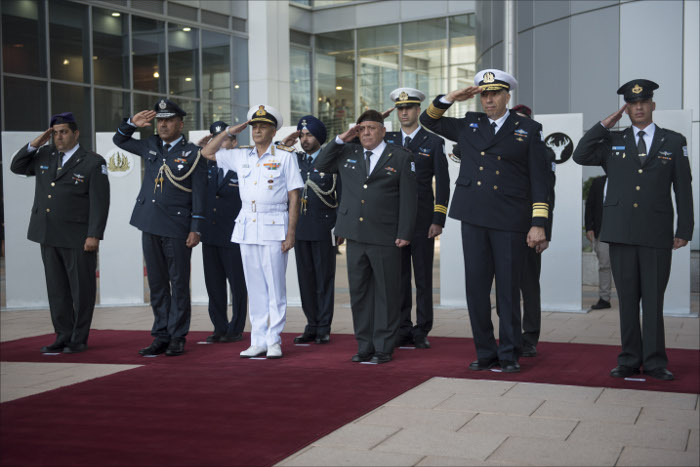 Since the renewal of formal diplomatic relations in 1992, defence cooperation has been one of the main pillars of bilateral engagement between the two nations. Defence relationship between the two countries, over the years, has matured into one of mutual trust and confidence. 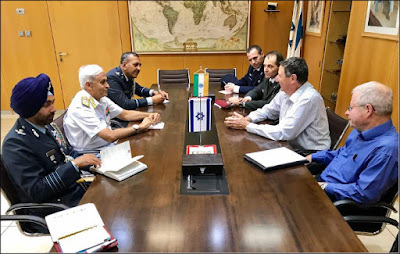 India has been importing critical defence technologies from Israel; in addition both the Armed Forces and MoD have been cooperating through the medium of Staff Talks, Joint Working Group (JWG) and exchange of high-level visits. The visit to Israel by Admiral Sunil Lanba, Chairman Chiefs of Staff Committee (COSC) & Chief of the Naval Staff (CNS) from 12 to 15 June 2017 is in continuation of such high level defence exchanges. 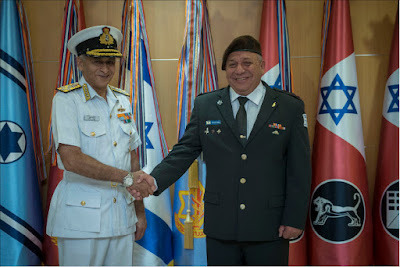 During his visit to Israel, Admiral Sunil Lanba, Chairman COSC & CNS is scheduled to hold bilateral discussions with Lt Gen Gadi Eisenkot, Chief of the General Staff, Israel Defence Force, to explore avenues for greater cooperation between the two Armed Forces. He is also scheduled to meet the Commander-in-Chief of Israeli Navy, Commander of Israeli Air Force, Commander of Israeli Ground Forces and other MoD officials. 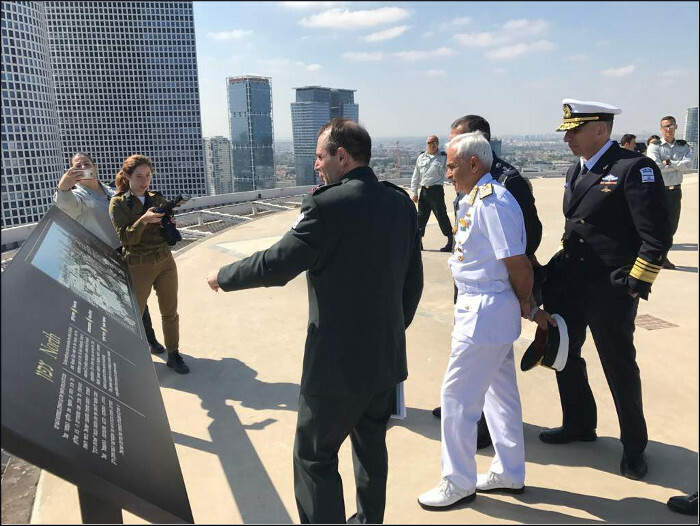 In addition, the Admiral will be visiting Haifa Naval Base and other Israeli Air Force and Army establishments. 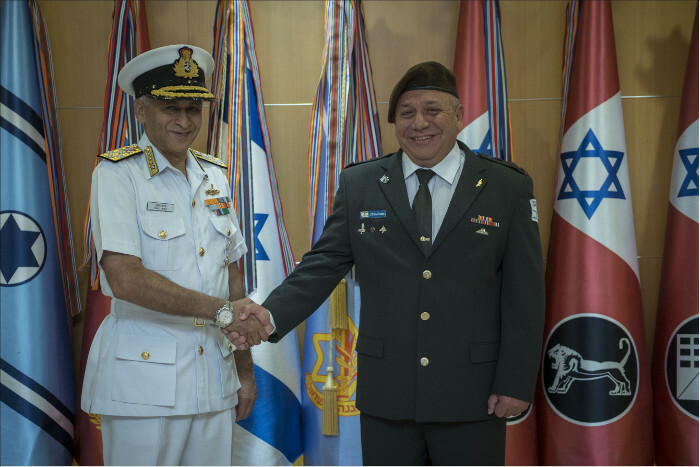 The visit by Admiral Sunil Lanba, Chairman COSC & CNS will further consolidate the Armed Forces Cooperation between the two countries.